hi Amkey... ive got 15 post in... can you please send me a Mobilevidz invite??? Can I get the mobilevids invitation code as well? Thank you. First, wrong place to ask. Second, you have to have 15 posts on the forum to get one. I can vouch for Amkay. 100% legit and true to his word! Thanks again! Not the right place to comment. Hey I totally vouch for this dude, he hooked me up with the mobilevids invite, no b.s. Thanks Amkay! wait is this new forum his own? comes with a 5dBi Omni Antenna that provides all-around wireless coverage at twice the distance ofa standard 2dBi antenna. 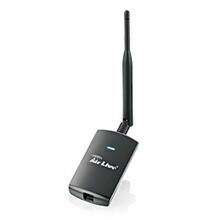 And for more demanding application, detachable antenna allows the change of antenna for increased transmission power. should offer it as a paid resource :p Also you will have to word it nicely. Try not to mention hacking, cracking etc. wow never thought of selling a software although i released like 5 programs for free so far on the internet... I think it's a good idea cz i made a lot of effort making this one and u're right i will replace those words thanks a lot @Mr. Penguin. dannlorden, Fantasma, vampiricbunny1800 and 1 other person like this. use remastersys , google it, it creates an iso of your current operating system bro.